If reading were an Olympics event, I think I could qualify in fiction. Seems like I’ve been in training the last few months, racing through one novel after the next. As we like to say, “So many books, so little time.” Now the day of reckoning has arrived — writing about what I’ve read. 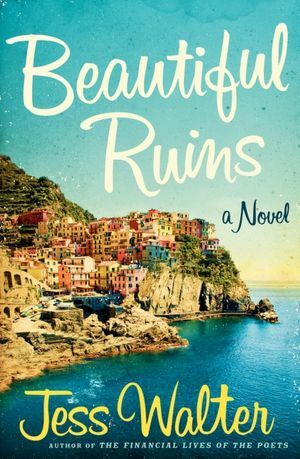 My favorite book of the moment, the one I keep recommending to friends, is Jess Walter’s Beautiful Ruins (HarperCollins, library hardcover). It’s a wonderfully non-linear tale of love, coincidence and fate that spans 50 years and hopscotches from a coastal village in Italy to a studio set in Hollywood, with stops in Rome, Edinburgh, London and the Pacific Northwest. It begins in 1962 with a handsome innkeeper and an American starlet, who believes she is dying, and branches out to include a veteran film producer and his young assistant, an aspiring scriptwriter, a would-be novelist, an aging rocker, and one very real British movie star. Several of these characters appear and reappear at different points in their lives, and the sprightly narrative includes their various creative efforts — an excerpt from a memoir, the synopses for a movie about the Donner Party, the first chapter of a World War II novel. I sprinted to the end to find out what happened, then went back and marveled at how Walter tied it all together. Bravo! 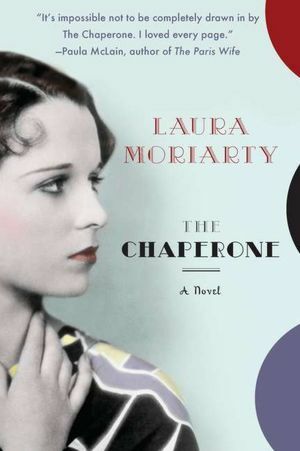 Silent screen star vamp Louise Brooks plays a supporting role in Laura Moriarty’s entertaining The Chaperone (Penguin, digital galley via NetGalley). The star, however, is 36-year-old Cora Carlisle, a proper Kansas matron, who agrees to chaperone the teenage Louise on a trip to New York City from Wichita in 1922. The five weeks Cora spends trying to keep an eye on the beautiful, headstrong Louise changes Cora’s own life as she finds out more about her orphan-train parentage and embarks on a passionate affair. 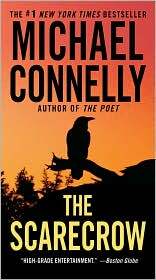 The summer’s reverberations continue when Cora returns to Wichita and challenges the conventions of the day. Having lived in Wichita once upon a time, I enjoyed the local color, as well as the Jazz Age atmosphere in the big city. 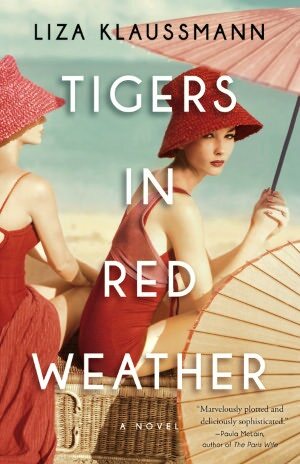 Also charting changing times is Liza Klaussman’s first novel, which has a striking cover and an alluring title, Tigers in Red Weather (Little Brown, digital galley via NetGalley). Lovely Nick and her cousin Helena spent their summers growing up on Martha’s Vineyard at the family estate, Tiger House, but go their separate ways at the end of World War II. Helena is off to Hollywood and marriage to older movie hanger-on, while Nick is reunited with her handsome soldier husband, Hughes, returning from war. 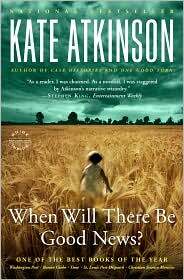 Some years later, the disappointed cousins return to Tiger House with their children, whose discovery of a murdered maid brings to light old secrets, desires and jealousies. Klaussmen deftly handles five points of view to tell an involving story. 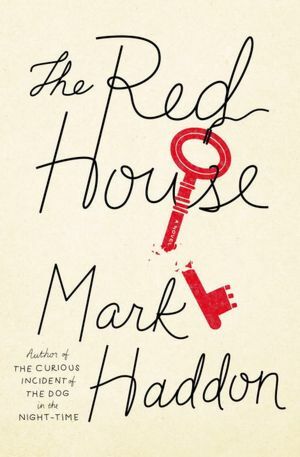 Assorted narrators and dysfunctional families feature in both Mark Haddon’s The Red House (Knopf, digital galley via NetGalley) and Maggie Shipstead’s Seating Arrangements (Knopf, library hardcover). Both, too, have well-worn premises. Haddon’s book focuses on a well-to-do British doctor, his new wife and teenage stepdaughter vacationing with the less-affluent family of his estranged sister. The set-up guarantees conflict, and The Red House has its moments, but Haddon distances his characters from readers with his scattershot, impressionistic set pieces and with the characters’ attachment to iPods, the Internet, etc. Personal connection goes missing. Shipstead parks her WASPy New Englanders on an island off the coast of Maine for a lavish family wedding. Perspectives shift among the 59-year-old father of the bride, who yearns for membership in the local club as well as the attention of a nubile bridesmaid; the sister of the bride, recently rejected by the son of a neighboring family; the long-suffering mother of the bride; and an old school friend of the bride, Dominque, who casts an outsider’s sardonic eye on the habits of the tribe. Embarassing misbehavior ensues. 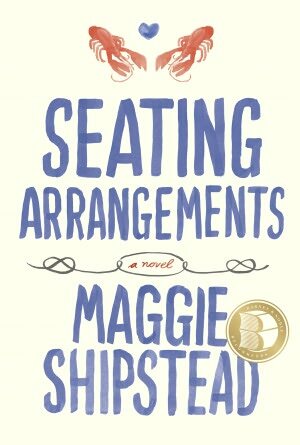 Although well-written, the whole comes off like a summer chick flick. I’d cast Steve Martin as the FOB. I’ve read more, but I’m running out of energy if not opinions. A stranger comes to town in Robert Goolrick’s Heading Out to Wonderful (Algonquin Books, review copy), which is as wonderful in its way as Goolrick’s book-club favorite A Reliable Wife. 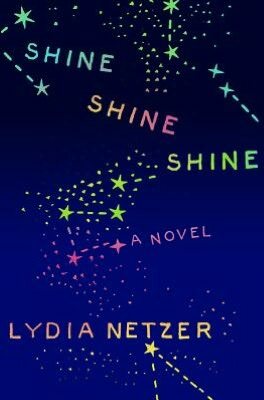 Lydia Netzer’s Shine Shine Shine (St. Martin’s Press, digital galley via NetGalley) is the offbeat tale of Sunny, a pregn ant astronaut’s wife hiding her baldness under a blonde wig and coping with an autistic son and a dying mother. Then Sunny’s wig comes off during a car accident, and her rocket scientist husband’s flight to the moon runs into problems, and Sunny comes to understand that being “normal” doesn’t mean much in the grand scheme of things. Finally, as much as I liked Glen Duncan’s The Last Werewolf, I didn’t care for — and did not finish — the sequel, Talulla Rising (Knopf, digital galley via NetGalley). Too much graphic werewolf stuff this time around.